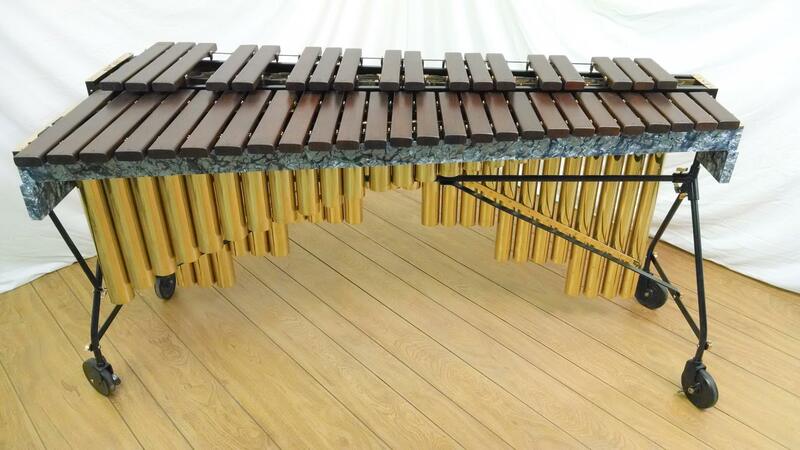 I’ve come across a few Deagan Century of Progress marimbas online over the past few years. 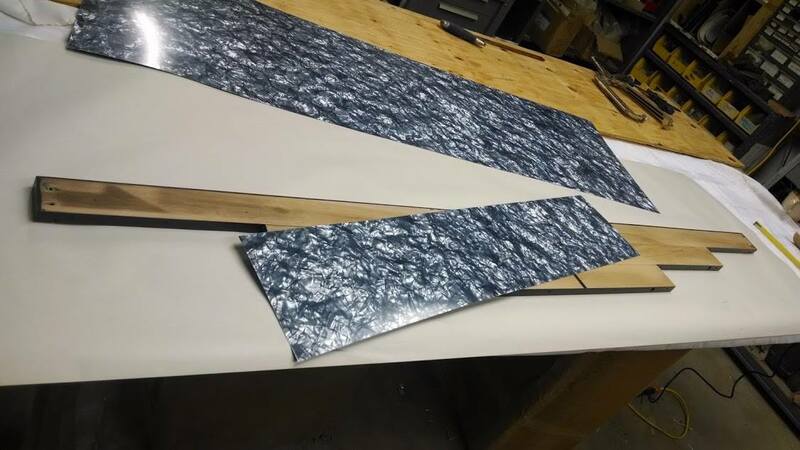 A couple have been in beautiful shape, with bright green laminate and gleaming brass resonators. More often than not, though, they’ve started to show their age. 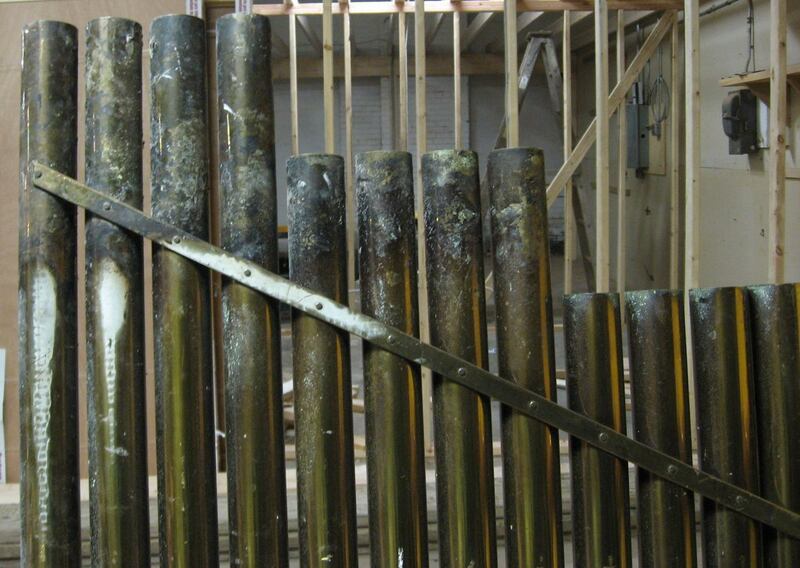 Missing plaques, dented resonators, deep patina on the metal frame. The green laminate on my own instrument has faded to a green-brown (perhaps one of it’s previous owners was a smoker? 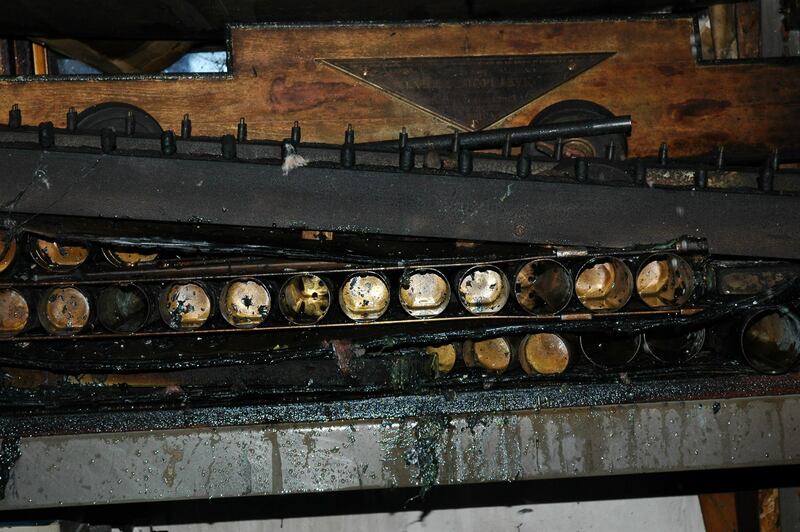 ), and a few of the bars have water rings from when it was used as a coffee table. 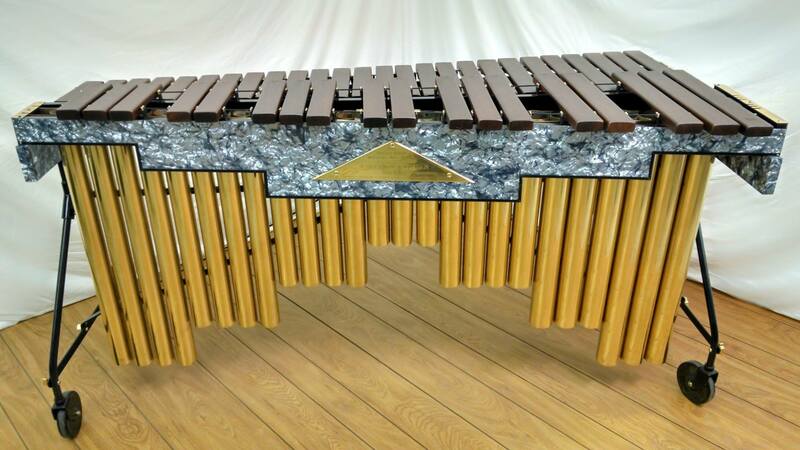 I’ve never seen one that looked as bad as the one I found on the Fall Creek Marimbas Facebook page, though. 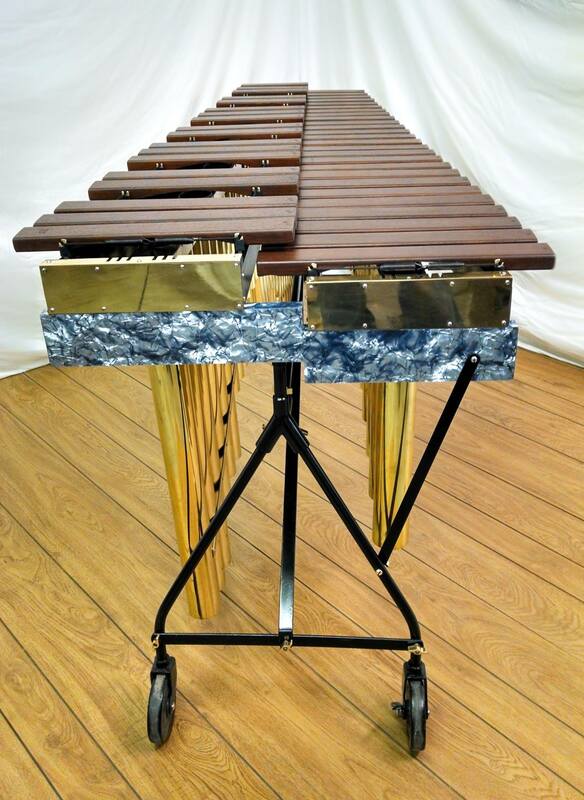 The highly-regarded mallet instrument builders and restoration experts posted a series of photos of a 3.5 octave Century of Progress marimba that obviously had seen better days. I have no idea what the story is behind this instrument, but from the first photo, it looks like it’s been to Hell and back. It’s hard to see what had become of the beautiful Art Deco resonators. The work that the team at Fall Creek did is nothing short of remarkable. I’m sure I don’t know half of what was involved in restoring it to its original beauty – certainly new laminate for the frame had to be cut and reset, bars refinished and retuned, a new plaque designed and engraved, resonators re-plated (or some kind of alchemy). 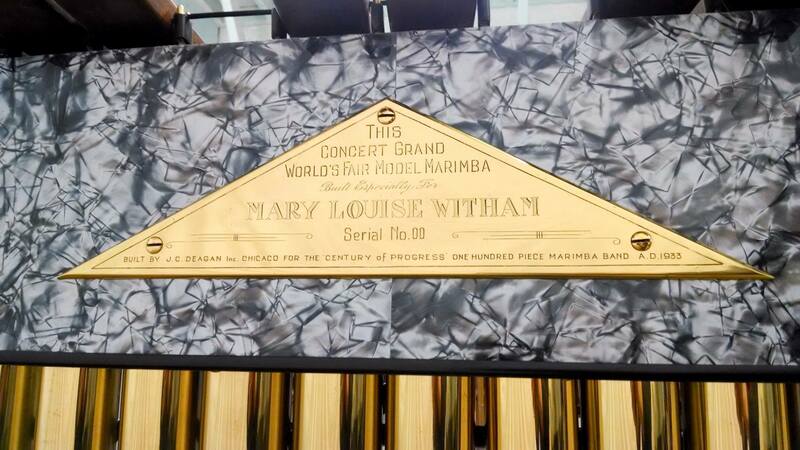 The result is a Century of Progress marimba that looks as good, if not better, than it did when it debuted back in 1933. Makes me wonder what my own ugly duckling might become with a little / a lot of TLC.